Sale Price: $134.00 + Free Shipping! 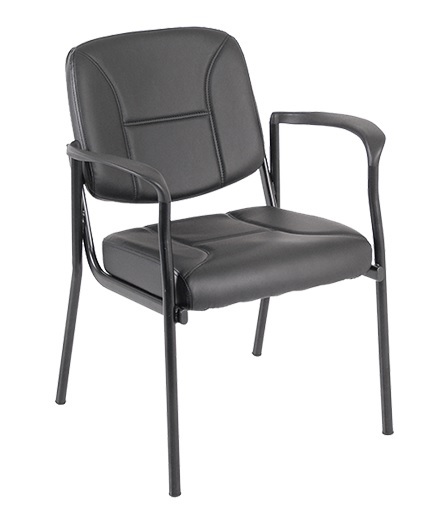 If you’ve been looking for an affordable guest chair that is also durable and built with quality materials, look no further than the Eurotech Dakota Vinyl Guest Chair with Arms. 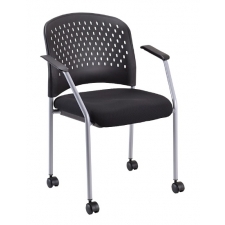 The sturdy design is evident in the 250 lb rating, heavy-duty steel frame, and resilient vinyl-covered seat and back. 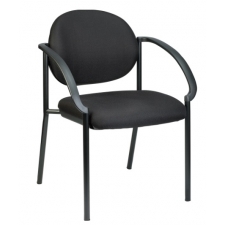 The chair is also padded with a thick foam cushion on the back and seat, and has integrated armrests to provide a comfortable seat for your guests. 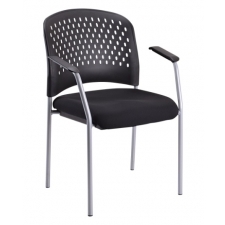 Even with its strong construction, it is still lightweight enough to be easily moved when needed, making it perfect for any setting.